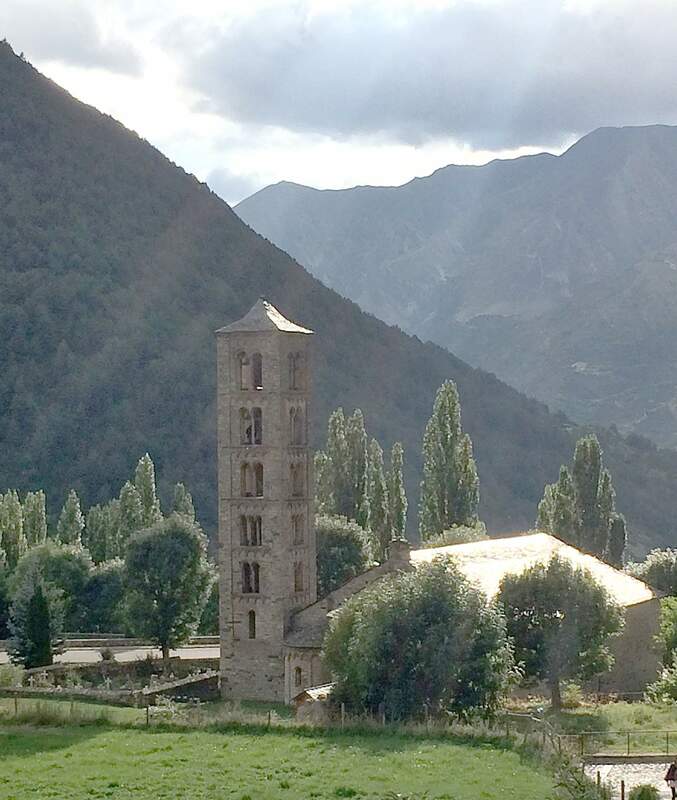 The Sant Climent Romanesque Church in Taull, Spain, was consecrated in 1123. 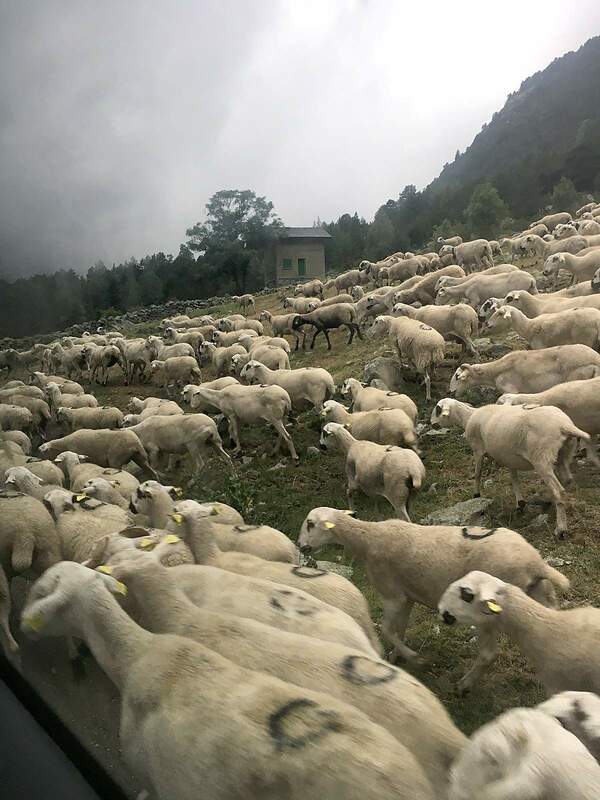 Sheep along the road on the way to the trailhead in Parc Nacional d’Aiguestortes i Estany de Sant Maurici in the Catalan Pyrenees. A bell tower in Boi, Spain. 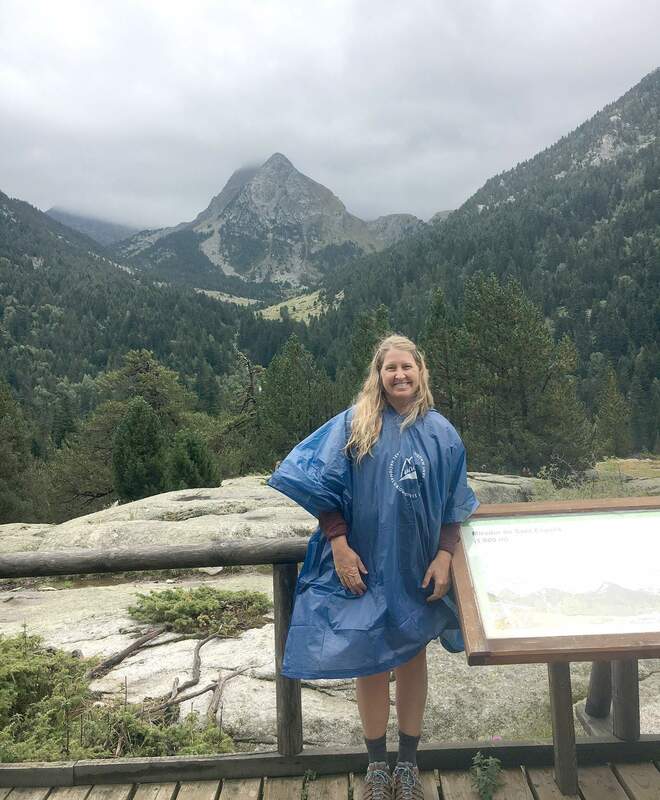 Sally Shuffield in the Catalan Pyrenees in Spain. So, we decided to join the throngs of vacationers and do a loop through Costa Brava and the Pyrenees before the weather got too cold. The high point on our journey was the Parc Nacional d’Aiguestortes i Estany de Sant Maurici in the Catalan Pyrenees and the village of Taull. The first thing I thought when entering Taull was that this village looks like what a village in the Pyrenees should look like. I was reminded that visitors go to Epcot Center at Disney World to feel like they are actually in another country. The caricatures there represent the stereotypes that people envision, even if the real thing isn’t really like the expectation. All I can say is that Taull feels like a caricature of itself and is better than the expectation. As a Coloradan who is used to mountains, I was still awed by the Pyrenees. What is amazing to me is how Europeans have perfected the art of compact living and blending into the scenery. Rather than sprawling towns built in valleys between mountains, as in the United States, towns in the Pyrenees are built at the top of a peak but so compact that green can be seen for miles, as well as other small dots of towns. It feels as if you are part of the natural beauty around you. This, coupled with the many stone chapels and monasteries, gives the villages the feel of growing from the Earth itself. Hiking in the park is controlled to limit visitors and traffic. We were four of eight people being taken to our trailhead. Our destination was Estany Long (Long Lake), and a rainstorm came in just as we were departing, which added to the ambiance. Clouds and mist hung below the peaks and through the valleys. The park interpreter sold us raincoats and loaned us his umbrella from his small cabin at the trailhead. The land itself is breathtaking, with open glacial valleys, high peaks, carved lakes and cold streams. Another of the amazing things throughout this area are the Byzantine churches that are in the little towns. Combined, all nine of them constitute a Unesco World Heritage Site, and each shows painted walls that combine Romanesque Christian images with animals and mythology. Their ancient stone beauty adds to the romance of the area. 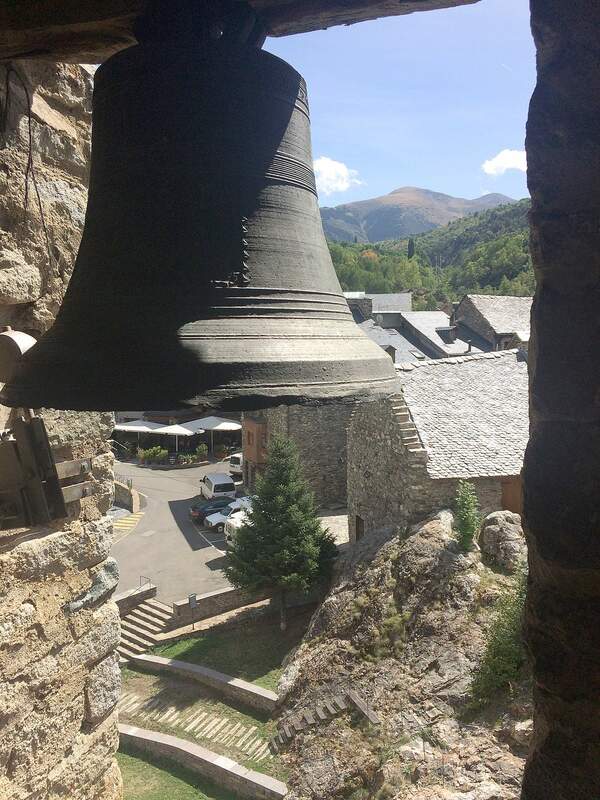 Each church has its own bell tower that can be climbed on steep stairs. From each one was a unique and awe inspiring view of the mountains, the spotted villages and the blue clear skies. The air itself smelled fresh and musty at the same time. In this high mountain air, the surreal is mixed with the picturesque. On our taxi ride back from our trailhead, we passed a mountain lake where two women were about to swim. Our driver angrily pulled over to tell them that they couldn’t swim there, and they proceeded to get into a heated argument. Another taxi van pulled up and the driver jumped into the argument. The strange thing was that the women were entirely naked. They stood and argued with everyone as if it were no big deal. This encounter is yet another reminder that this is not the Epcot Center. It is the people, and not just the sites, that make up the amazing experience of living in Spain.